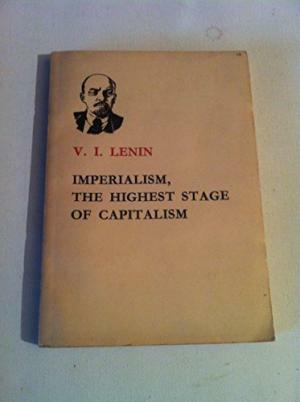 V. I. Lenin penned and published his influential pamphlet, Imperialism: The Highest Stage of Capitalism, in the midst of the First World War. Building upon Marxist contemporaries like Hilferding and Bukharin as well as non-Marxist theorists like J. A. Hobson, Lenin’s pamphlet would quickly come to embody the orthodox Marxist critique concerning the relationship between modern capitalism and imperialism. In this Talking Empire podcast, Dr Marc-William Palen discusses Lenin’s Imperialism and its legacy with Professor Richard Toye. In 1902, journalist John A. Hobson published Imperialism: A Study. The book was among the first to connect the rise of finance capital with the growth of imperial expansion after 1870. 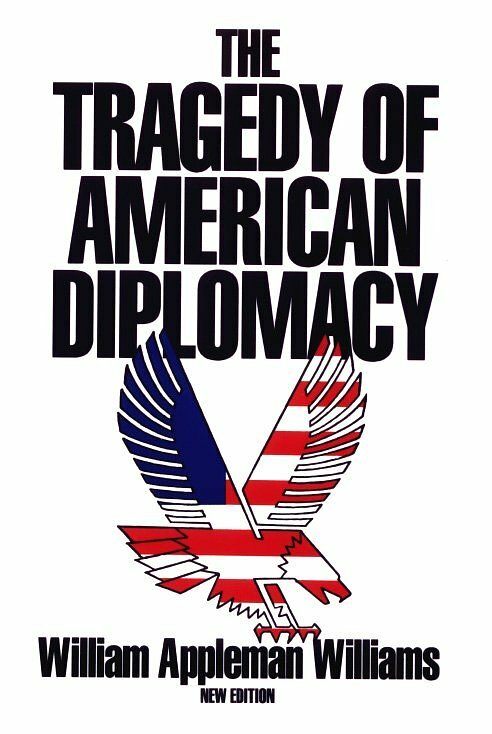 Hobson’s theory would fast number among the most influential critiques of imperialism. Although Hobson himself was not a Marxist (he was a classical liberal), his theory would play a key role in shaping subsequent Marxist theories of imperialism, most notably that of V. I. Lenin. In this Talking Empire podcast, Centre Director Richard Toye discusses Hobson’s Imperialism with Dr. Marc-William Palen. 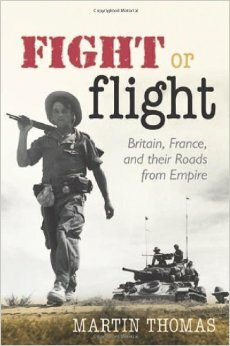 Martin Thomas’s path-breaking book Fight or Flight: Britain, France, and their Roads from Empire tells how the world’s two largest colonial empires disintegrated dramatically after the Second World War. Although shattered by war, in 1945 Britain and France still controlled the world’s two largest colonial empires, with imperial territories stretched over four continents. And they appeared determined to keep them: the roll-call of British and French politicians, soldiers, settlers and writers who promised in word and print at this time to defend their colonial possessions at all costs is a long one. Yet, within twenty years both empires had almost completely disappeared. The collapse was cataclysmic. Peaceable ‘transfers of power’ were eclipsed by episodes of territorial partition and mass violence whose bitter aftermath still lingers. Hundreds of millions across four continents were caught up in the biggest reconfiguration of the international system ever seen. In this new Talking Empire podcast Professor Thomas talks about the book with Professor Richard Toye. 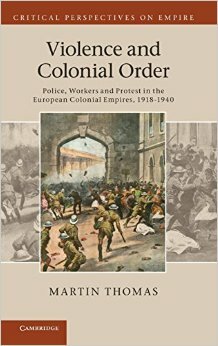 Professor Martin Thomas’s book Violence and Colonial Order: Police, Workers and Protest in the European Colonial Empires, 1918-1940 is a pioneering, multi-empire account of the relationship between the politics of imperial repression and the economic structures of European colonies between the two World Wars. Ranging across colonial Africa, Southeast Asia and the Caribbean, Thomas explores the structure of local police forces, their involvement in colonial labour control and the containment of uprisings and dissent. This work sheds new light on broader trends in the direction and intent of colonial state repression. It shows that the management of colonial economies, particularly in crisis conditions, took precedence over individual imperial powers’ particular methods of rule in determining the forms and functions of colonial police actions. In this Talking Empire podcast, I interview Professor Thomas about the issues raised by the book. 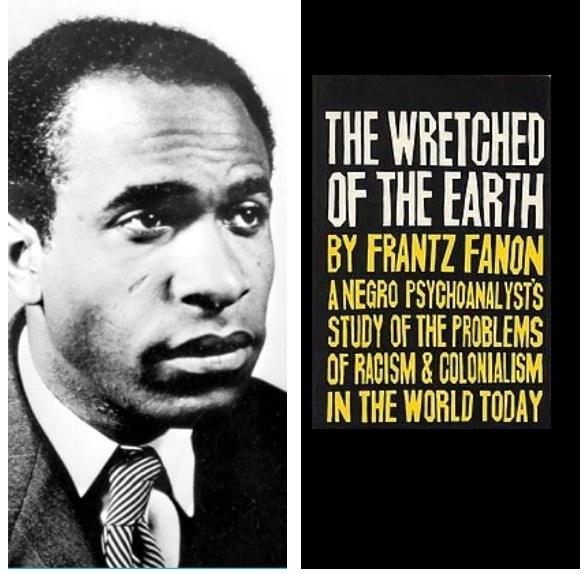 What’s So Shocking about the Wretched of the Earth? 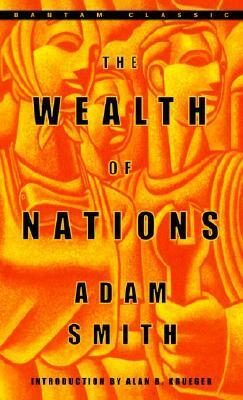 Within the field of imperial history, Adam Smith’s Wealth of Nations (1776) is commonly associated with the anti-imperial economic doctrine that arose in the mid nineteenth century alongside the rise of Free Trade England. This ideology drew inspiration from Smith’s condemnation of the British Empire for being unnecessarily mercantilistic, expensive, and atavistic. Smith’s critique of imperialism came to be known as “Cobdenism”, named after Victorian free trade apostle Richard Cobden, the anti-imperial radical who led the overthrow of England’s protectionist Corn Laws in 1846. But the longer imperial legacy of the Wealth of Nations is much more . . . complicated. Smith’s work was transformed into an amorphous text regarding the imperial question throughout the late nineteenth and early twentieth century. Adam Smith had left behind an ambiguous legacy on the subject of empire: a legacy that left long-term effects upon subsequent British imperial debates.